Lucas Kitchen answers questions about the Bible and faith. Will all believers have fruit? But what if I don't want to "rule" with Christ? Hey Lucas I had another question. Do you know any scriptures on reading other religions books? 2 John 10-11 says don’t bid anyone Godspeed who has another doctrine. 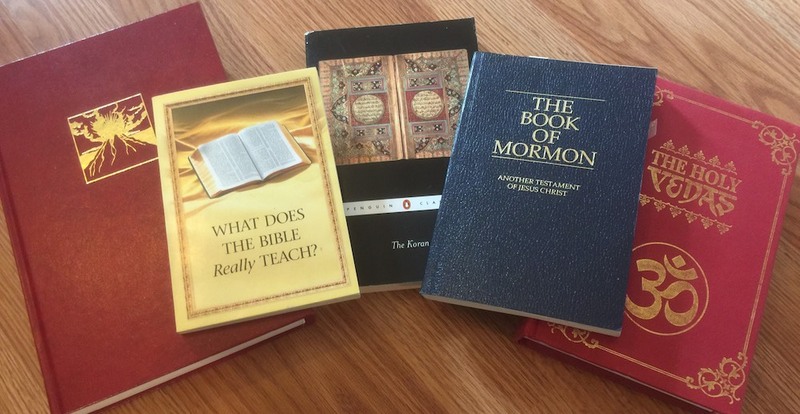 Is it still okay to accept a copy of the Book Of Mormon even if you already know it to be a lie full of damnable heresies? Anyways I’ll just tell you in short last Sunday I went to a LDS church because I wanted to preach the true good news of justification by Faith alone and to warn of judgement and the Elder I spoke to gave me a copy of the Book of Mormon and said we could talk again. Was it sin in accepting the Book? I have been examining it to show them the impossibility Of there False Gospel anyways my question should I continue to do this or no?Great question. Let's first take a look at the verses you mentioned. I'm currently in online school and the classes all teach evolution to be true. I'm not sure what I believe about that and how it would correspond with my Christian faith. I was curious what you thought in that area because secular evolution is forced down my throat at school. My security is in Christ, not creation. I'm 5000% more confident in the gospels than I am in my ability to understand the first few chapters of Genesis. We really don't know exactly how God did it. Genesis tells us that God did it, and gives some details. Though, Genesis leaves out a lot of information. That doesn't bother me at all. Personally, I believe God designed and built over a long period of time. I believe that fits with what Genesis teaches. I don't believe it was evolution, but I know plenty who do. "If I once believed wholeheartedly, full commentment, baptized, truely believed and now don't. Am I still saved?" How serendipitous... Ok. So. The answer is YES, and I'm going to tell you why. First, we need to understand what happens when someone believes in Jesus. As a quick primer before you read on, here's a video we produced on the subject. You can watch it before you read this article, or skip it.